Why not give me a call to discuss your requirements. I'm a dedicated professional who enjoys working under pressure. 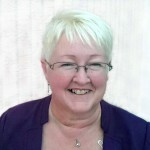 Based in Birmingham, I represent the friendly face of bookkeeping.